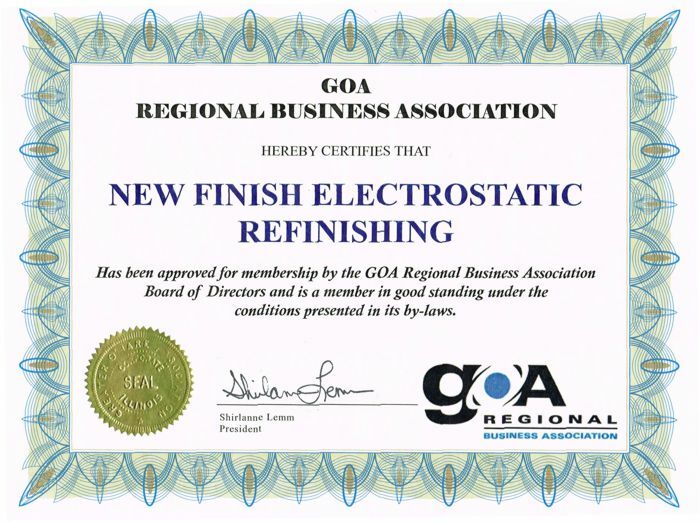 There are plenty of good reasons to collaborate with New Finish Electrostatic Refinishing. The best one is our people. We are a combination of technical experts, experienced professionals with diverse specialties and even more talents. We listen. We learn your project goals. We work with your goals in mind when we apply our specialized solutions for you. We understand that our success is derived only from achieving your expectations. We’ve been doing this for our clients for more than 30 years. Jim has developed as an accomplished entrepreneur. He has developed trusted relationships with his clients that has provided additional business projects as his clients commonly refer new business to New Finish. He has developed professional and skilled staffs, which have an average of 20 years experience in electrostatic refinishing.